This weekend, Tess & Ed got a package in the mail. 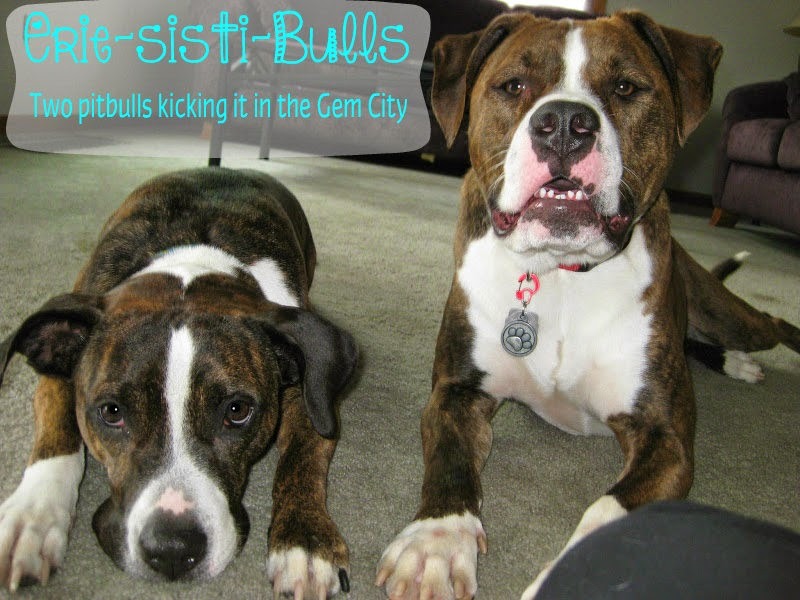 That's right, they received their first of 3 Bark Boxes! We found a super huge coupon for a 3-month subscription and scooped it up as a treat for the pooches. Edison found his first victim toy. 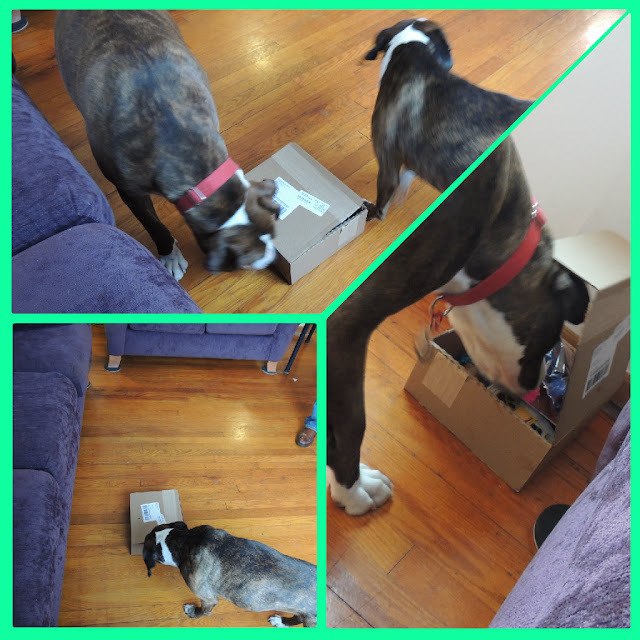 He quickly found the next item in the box: the Sprocket Pet Goods P:ECO the Penguin. And Tess wasted no time checking out the Pet Qwerks Fetch 'n Floss﻿. 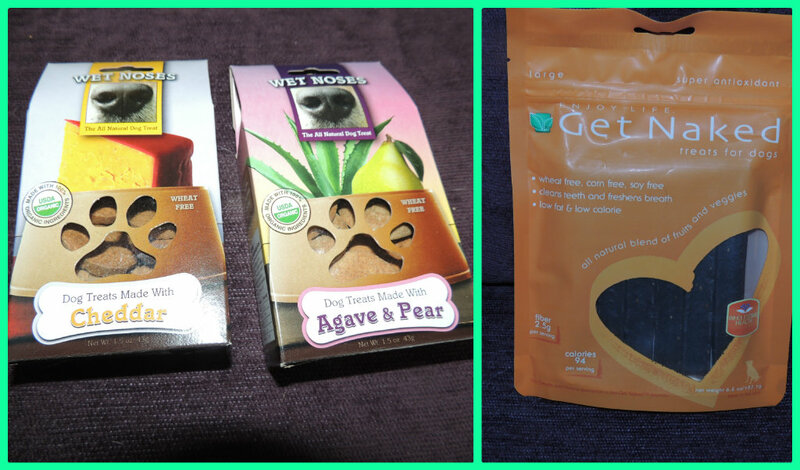 Some delicious treats also came in the box, including Wet Noses Organic Dog Treats in Cheddar and Agave & Pear and Get Naked N-Bones. The pooches loved both of these. It was so much fun getting these surprises, and we're looking forward to what comes in the March Bark Box! Ohhhh I want to get a subscription to BarkBox so bad! Very jealous! It looks like you guys got some great stuff in there! I was so excited when we found the coupon..otherwise, I would never have been able to afford it. But it was so fun to get some treats in the mail and try out some new stuff. 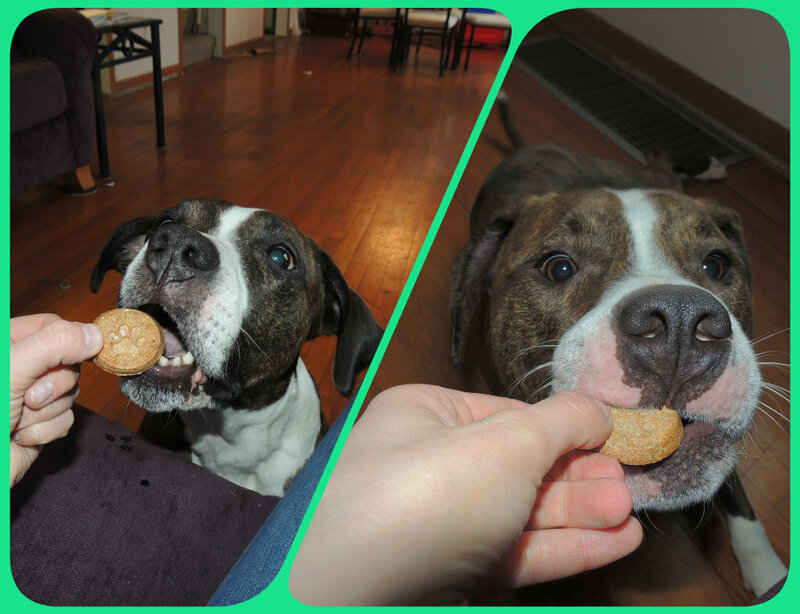 We had been wanting to buy some of the Wet Noses treats, so it was nice to try them out before we buy! How long did your penguin and fetch n floss last? Ours didn't last the night, but Ray loved the "cookies." The penguin would probably not last very long. I saw Ed starting to "pick" at him and took it away. Tess is pretty uninterested in toys, until Ed has it - then they play tug, which usually brings an end to the toy. We're trying to avoid this, so it was highly supervised. Tess did manage to sneak the Fetch n Floss and she is an EXPERT "picker" - pulling apart pretty much every toy she gets her hands on. I'm not sure how long she was pulling at it, but she was in full-blown "pick" mode when I found her and NONE of the knobbies were pulled off...yet. How fun! Are the pups getting conditioned that whenever they see a box in the mail it will explode with fun toys and treats for them? Hmm...yikes! I never thought of that! It worked out for us...Poppy is a "boy" color and it's Edison's favorite, and the pink is nice and girly since the ring is her favorite (and the added bonus is Tess needs the teeth cleaning more, too!). How cute are they tasting their new treats? Agave and Pear is quite the exotic flavor. I've been very tempted to try Barbox since I love getting things in the mail and all things pup! Hannah , Fantastic to see photos of Edison and #P:ECO.. I hope they are having fun together! Love to see more photos!! also, their is rumor of a super P:ECO in the lab ....able to jump tall buildings and last to the rigors of the likes of Ray. If any wants to be on the list to test some prototypes , let us know!